Students who get involved are more likely to find success in careers after college - and we know that is true in our program. The students who we see go on to successful EM careers are the same students we always saw around the halls, participating in field trips, research projects, and in the IAEM Student Chapter. So find something that interests you and sign up! It can go a long way. Get the latest info on current student opportunities. Looking for your next course? Go see what we are teaching next semester (and the one after that). Stay involved with your fellow EMHS students and alumni. The mission of the International Association of Emergency Managers (IAEM) is to advance the profession by promoting the principles of emergency management; to serve its members by providing information, networking and professional development opportunities; and to advance the emergency management profession. 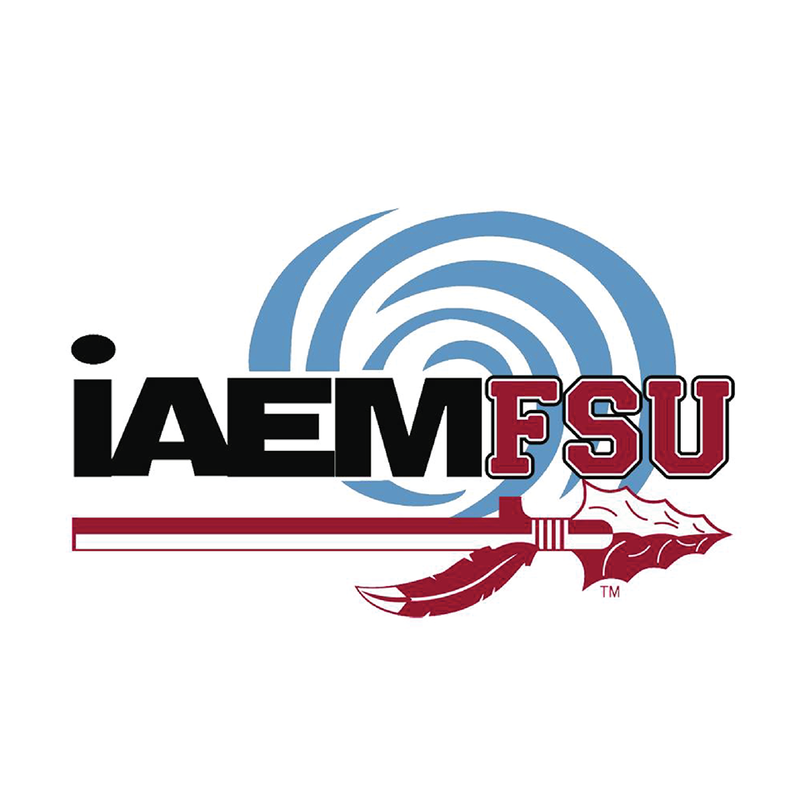 The Student Chapter of IAEM at FSU is an award-winning organization dedicated to providing new educational and networking opportunities for our students. If you would like to get involved, please visit the Chapter's Facebook Page. This scholarship is named after two of the founding members of the Emergency Management and Homeland Security (EMHS) program at FSU. Janet Dilling and Robert McDaniel both served their country during the Cold and Gulf Wars, and became emergency management professionals after their military careers. This scholarship is for veterans or active duty service members who wish to obtain their EMHS Certificate at Florida State University. Janet Dilling served as an ordnance officer in the Army, managing theater level ammunition stocks, serving as a commander, and also writing and directing war and contingency plans. After her service, Janet served as both a local and state level emergency manager in Idaho and Florida, before joining the FSU faculty in 1997. While creating and directing the EMHS academic program in its early years, Janet also earned her doctorate in Public Administration, focusing on the academic growth of emergency management programs throughout the country. Janet Dilling is considered one of the foremost experts in her field, and her classes are some of the most popular at the university. Robert McDaniel served in the Air Force as an electronic warfare officer in B-52s during the Cold War. In that capacity, he supervised training, exercises and evaluations in one of the Strategic Air Commands’ most senior crews and ultimately flew combat missions during Desert Storm. After Rob’s service he joined the state of Florida’s Emergency Management Division, becoming one of their operations officers and lead exercise developer. Recruited to bring his considerable disaster experience to our faculty, Rob was an important part of the team that built the EMHS certificate program at FSU. Rob quickly became known for a facilitative style of teaching that bridged practitioner experience with academic learning. With a Master’s in Public Administration and a wealth of professional subject matter knowledge, Rob has always been part of the innovating force behind the EMHS program. Robert McDaniel is known throughout the country for his innovations in teaching, and his hands-on approach to learning. The Dilling-McDaniel Scholarship awards veterans or active duty service members, of all branches of the military, the ability to take EMHS courses to begin or further their careers in emergency management or homeland security. 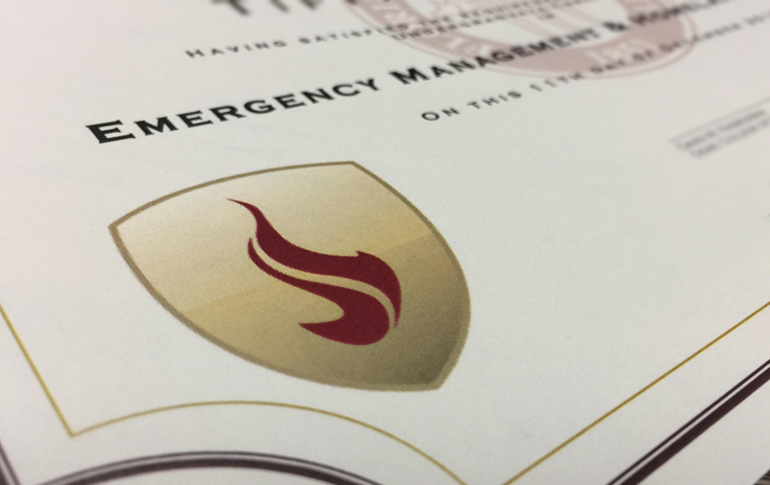 Named after two amazing individuals who have dedicated their entire careers to service, emergency management, and education, the scholarship pays for four EMHS courses for undergraduate students, or five EMHS courses for graduate students. Purpose: The EMHS Dilling-McDaniel Veteran Scholarship Fund awards monies to military service members and veterans of all branches of the military. This award is based on a combination of factors including academic achievement, financial need and an expressed interest in pursuing a career in Emergency Management or Homeland Security. The scholarship pays for up to $1500.00 towards academic support materials including computers, books, research or professional travel support. This award can also be applied to tuition for EMHS classes. The applicant must have served in the military or be a veteran or be currently serving, and is currently enrolled as a student at Florida State University. Applicant must be in good academic standing with a GPA of 2.5 or higher, and must submit a copy of their unofficial transcript. Candidates must be enrolled in or planning to take EMHS courses, ideally in support of achieving their certificate. Applicants must submit one letter of recommendation from either a professional superior or professor who can attest to the applicant’s work ethic, maturity, and integrity. Award winners must remain in good academic and ethical standing. The EMHS program retains the right to rescind the award in cases of impropriety. Guidelines: This scholarship will be awarded on an annual basis to one applicant. Scholarship recipients must maintain a GPA of no lower than 2.5 and remain enrolled as either an undergraduate or graduate student at Florida State University. Deadlines: The deadline for this scholarship is January 10, 2019. The award will be presented at the annual Veterans Ball. The Student Disaster Corps (SDC) is intended to provide students with hands-on experience in all phases of emergency management while simultaneously supporting partner organizations with volunteers. Current EMHS students interesting in volunteering with SDC should contact Dr. Audrey Heffron-Casserleigh at disastercorps@em.fsu.edu. In order to request your certificate, you must first have completed a program application before the end of your second course in the certificate program. After you have completed all the course requirements for your level of study (graduate or undergraduate) you will need to get in touch with our Program Administrator (cert_request@em.fsu.edu). Indicate the courses you have completed, the address you'd like the certificate mailed and a copy of your unofficial transcript. If the record is complete, you will be issued the certificate which is then mailed to the address you provided. Successful completion of the courses applied to the EMHS Certificate is defined as a grade of C or higher (some courses may have higher grade requirements). Students who receive grades lower than a C in any courses must repeat that course if they wish to have it apply to the EMHS certificate.